Android is already having a great run enjoying a market share of over 80%. Its latest Lollipop version with the Material Design has been received well. That is not all though. A new operating system based on the very flexible Linux has now been proposed and this would have a lot of the Lollipop Material Design specifications. If you are wondering as to how a desktop platform can accommodate the Android one, which is a mobile platform, then you only have to thank the Material Design for making this possible. Yes, this design has been the force behind the Lollipop and has the promise to enable developers to come out with creative apps. The proposers are sure that the design specifications of the Material Design will ensure that Android apps would be able to blend in well into the Linux OS based system. If that does not work out, plan B in terms of a different desktop OS has been developed and that has been called the Quantum OS. If you thought this is just a superficial system such as somebody using Ubuntu or the Arch Linux with an Android shell, then you are mistaken. The developers here are making the new shell with the help of Qt5 as well as QML so as to bring into being a very interactive Android environment. The mockup of this desktop is already ready and it looks like a fun project all through. We have seen Android apps comfortably running on the Chrome OS. There is no reason to believe that Quantum OS with its Material Design will not be able to run Android apps with some tweaking and creative use of this design. After all, much of the work has already been achieved and done when finalizing the Material Design specs. Though the design aspect is not the only one that determines the success of running apps of one platform on another and there are other challenges, experts believe we can have a desktop that is convergent in every way quite easily. They say that they only have to make the Quantum OS converge with the Material Design along with the ARChon to make this happen. That would mean that you can then use your Linux desktop to run Android apps and not bother using your smart phone. 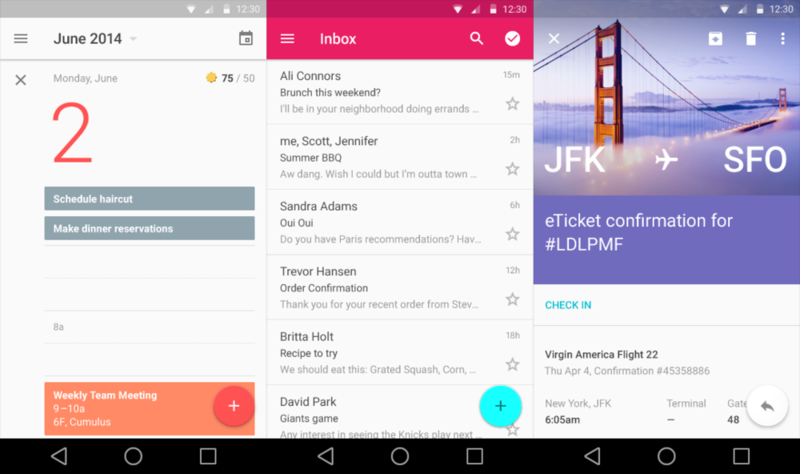 Till now the Material Design has only been seen as the new concept behind the release of Lollipop. But its potential according to its developer Michael Spencer lies beyond this and he believes that the Quantum OS would be a first step in tapping it. He believes the combination of Linux, the open source nature of Android and the Quantum OS would have components that will revolutionize computing in the years to come. There is a lot of optimism associated with the Quantum OS project and if it takes off as expected, it would be another feature in Google’s cap.